So I just saw American Sniper and Imitation Game so will post both reviews in the next little bit. It was quite the downer of a double header I must admit but they actually have more in common than you might think. Both movies are about men in times of war who’s unusual excellence saved soldiers lives. 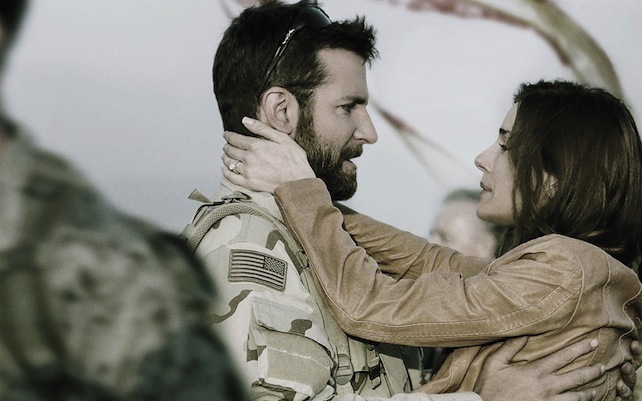 American Sniper is the story of Chris Kyle played by Bradley Cooper, the greatest sniper in Navy Seals history who was referred to as ‘The Legend’ by other seals. There is lots of controversy over the wars overseas, Chris Kyle, his book, and some of his statements. I’m really not going to get into all of that. I am just judging the movie. It is God’s place to judge Chris Kyle and any others who had the guts to do something I could never do for a cause they believed in. To those that feel American Sniper is a propaganda piece for a war that is a mistake, I would make this counter argument. Imagine if you had a movie about a German WWII soldier. The soldier may do great and admirable things for what most believe is a wrong cause but that doesn’t make the actions themselves and the way HE see’s them any different than any other soldier. Chris Kyle is a man who did what he was told to do and saved many of his Navy Seal brethren lives and far be it for me or anybody else to put the condemnation of a cause on the shoulders of one man. I happen to believe there was value in the cause and what we did over there but that is a conversation for another day on another blog. 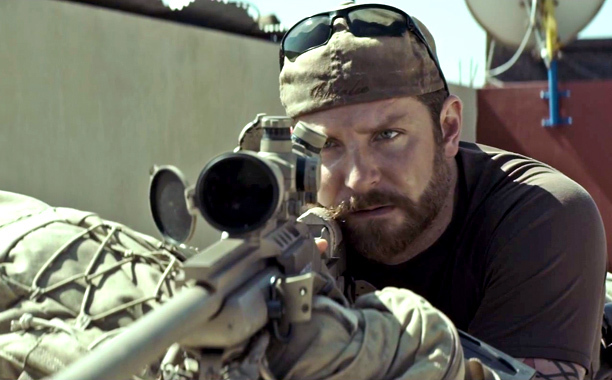 American Sniper does not really turn Chris Kyle into a hero. It is clear he is very uncomfortable with such recognition. He is a man who did his job and that job was saving Navy Seals and Marines. The movie is brutal. It’s a tough sit through, and I had many a moment where I had to look away or close my eyes because it was too intense. That’s not a mark against it. War and its horrors are the one type of violence that I think is important and worth seeing. Director Clint Eastwood does a great job helping you feel like you are there with Chris Kyle and the other soldiers in Chris’ four tours of duty. For a man famous for being a sniper you feel on the ground with the troops a lot. Al-qaeda has their own sniper called Mustafa which kind of puts both sides on equal playing field (if you can call it that) in the movie. It is clear the conflict in Afghanistan and Iraq is one of individual houses and skirmishes with neighborhoods. Not the rows of cavalry or the mass of soldiers we see in other war movies. It makes sense why a sniper would be needed because it’s such an individual version of warfare. The only other movie I can think of which has shown this type of conflict was the Hurt Locker and I personally think American Sniper is much better. I certainly felt way more invested in Chris Kyle’s story than anyone in that movie. I thought that Clint Eastwood does a good job keeping a narrative throughout each tour and Chris’ time at home. At each intense period of fighting there will be a call to his wife played by Sienna Miller, thus bringing the family into the action and then at home he will have flashbacks bringing the action to the home. I thought it was interesting how both times seemed equally intense but in different ways. In war Chris seemed to wish he could save more men and at home Chris wished he could save more men. Like I said it is a brutal movie. It is graphic, violent and disturbing but it is war people. I would have been more bothered if it wasn’t all of those things. Again it felt like you were there with Chris on the ground and Clint Eastwood does a great job of building a comradery with Chris and his men quickly so that way when things happen you as a viewer feel the loss or fear along with Chris. It’s pretty remarkable the way he does that sometimes in just one conversation or smile you feel bonded to a soldier. The movie doesn’t really make Chris Kyle into a hero. If it was a Stephen Spielberg movie there would have been soaring music and dramatic speeches. There isn’t any of that. Just a man who did what he had to do in his worldview. The language is very bad but what you might expect out of a bunch of soldiers risking their life everyday. 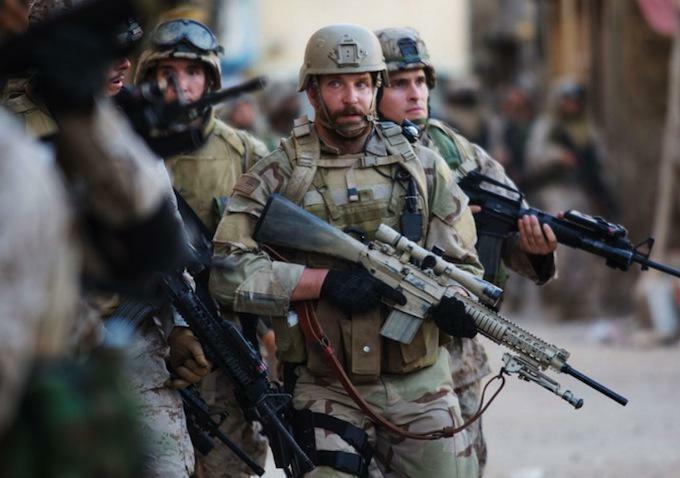 American Sniper is the kind of movie I won’t ever want to watch again but I am very glad I saw once. I feel I got a tiny bit of insight into what our brave men and women do over there. I know it is still a movie but it’s at least more insight than I had this morning before seeing it. The ending when you’ve just seen Chris Kyle growing and changing is devastating. It just doesn’t seem right with all he went through for it to have come to that. Again it is not our place to judge a man like Chris Kyle. He did what he had to do and he saved many lives. 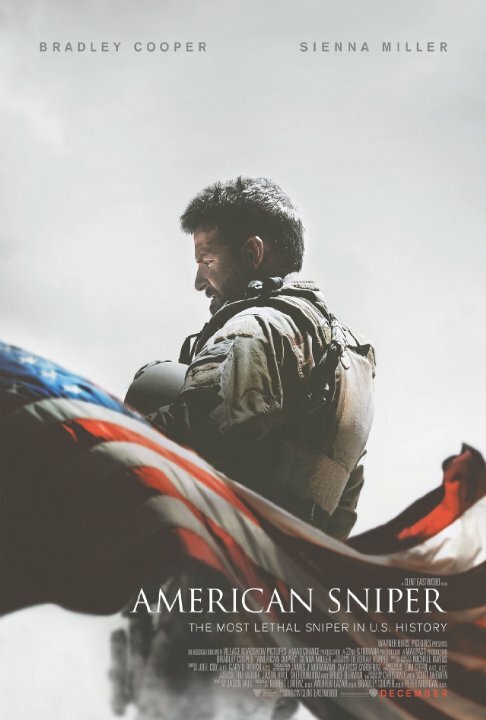 That is the story of American Sniper and it tells that story well. The rest of Chris Kyle or the value of the war itself is for another movie, another discussion. I was very moved by American Sniper and I’m glad I saw it. It’s brutal but I’m glad I saw it. Bradley Cooper is terrific as Kyle. He’s proud, stoic, vulnerable. Overall Grade- A Content Grade- F (although I don’t think it is Adults only. It’s war! Teens should be able to appreciate that). You probably meant “Mustafa” instead of “Mufasta”. 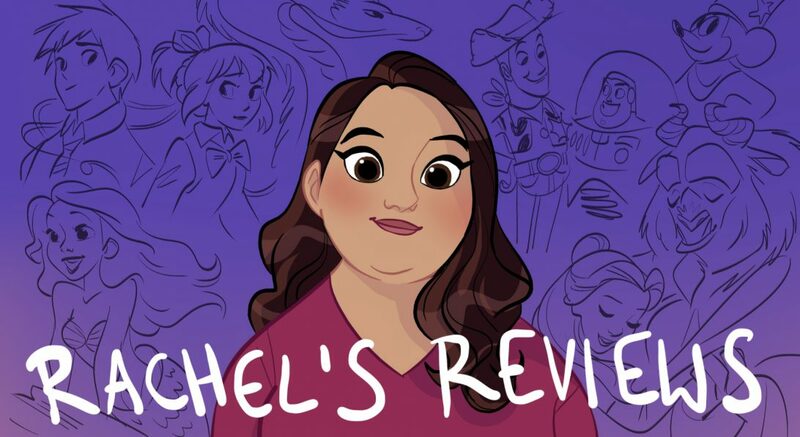 Pingback: Current Film Catch Up – Reviewing All 54 Disney Animated Films And More!